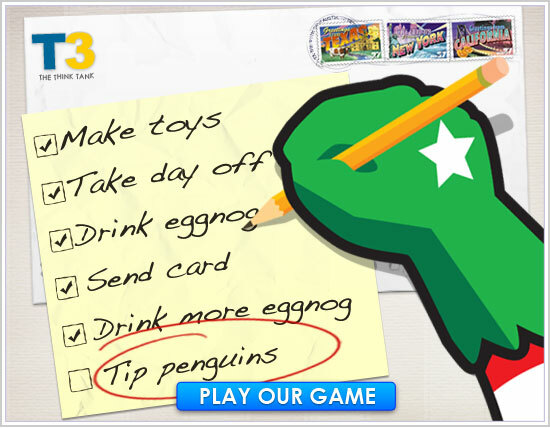 T-3: How About Some Penguin Tipping to Kick off Your Season? Here's what we think (er, hope?) is our last holiday card of '07. T3 The Think Tank sent us a game in which you pose as an elf and tip penguins. Great incentive for a little digital abuse. The game is simple but strangely addictive.